Reported from Rmol.co, The police investigated the leaflet of the Provisional Government of the Federal Republic of West Papua. "That's an investigation. 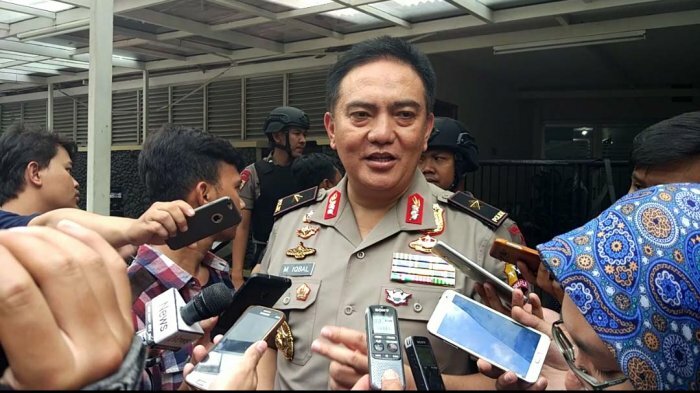 Inside by Police Headquarters and Papua Police, "said Karopenmas Divhumas Polri, Brigadier General Mochmmad Iqbal in Senayan, Jakarta, Wednesday (1/8). Iqbal asserted, Indonesia is a sovereign and constitutional state, if any group doing the act of unconstitutional Police will take firm action. Nevertheless, at this time the Police has not secured the group in the name of the separatist movement of West Papua's independence. "Nothing we've caught yet. We will continue to process the investigation on this matter, "said Iqbal. Iqbal suspects, the emergence of the issue of West Papua free movement due to close to Indonesia's Independence Day on 17 August. "Near the day of independence is indeed a lot. Every year tuh be on the agenda. So we do not have to raise this. It's their goal, "explained Iqbal. Circulated a letter of invitation meeting in West Papua. Maker of the letter on behalf of himself the Prime Minister of the Provisional Government of the State of the Federal Republic of West Papua Yoab Syatfie. In the letter, written an invitation to attend the announcement of the interim government of the Federal Republic of West Papua. It was written to the leaders of the NRFPB and the people of West Papua, as well as important.